"...As owners, we first installed ductless heat pumps in our own homes. We weren't going to sell anything that we didn't believe in, and trying it first was just something we needed to do". When Cory first brought home a ductless system and convinced Janette to let him install it in their home, she was very skeptical. It was new, it was different, and it couldn't possibly replace their forced-air gas furnace with which they had a love-hate relationship. They loved the heat from their gas furnace...as long as they were standing or sitting in the right place in their home...i.e. the hot spot. Otherwise, the uneven temperatures, and hot and cold spots drove them crazy. After a week with their new ductless system, they were both convinced. Cory and friend, Mike, started Alpine Ductless shortly afterward. Janette kept teaching...until April of 2016, when she joined the company permanently. "...our main focus is education and service. Our customers tell us that during the sales and installation process, they felt informed and that they got a good value. We offer many options to our customers so that they receive the system that is right for their situation. 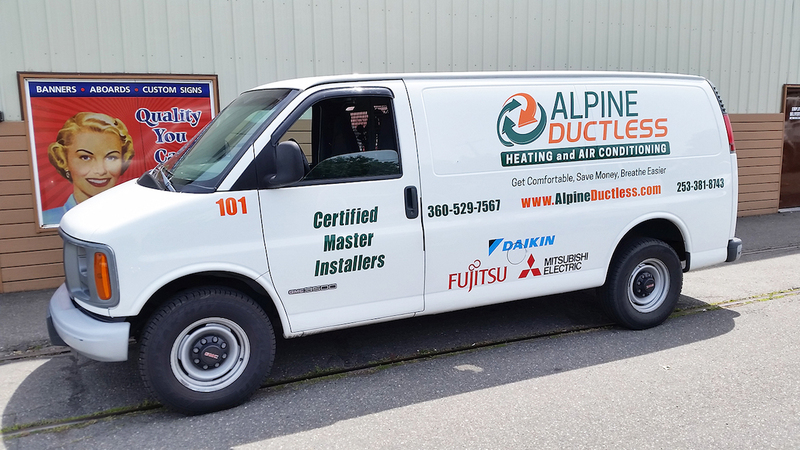 We stay up to date on the technology..."
From the beginning, it was imperative that our sales and installation teams at Alpine Ductless Heating and Air Conditioning be knowledgeable about the latest technology; and be able to design and install a system that is right for each home or business. A ductless system is not a one-size-fits-all system. It needs to be properly sized, and many other factors have to be considered to find the best solution for a home's heating and air conditioning needs. Our team of professionals receive on-going training and education about the latest products. Manufacturers, like Fujitsu, offer excellent support to their contractors to make sure that the customers' needs are met. "Ductless is all that we do". If you do the same thing consistently, and well, you become an expert at it. With well over 1600 installations, we've become specialists in ductless technology. Unlike other large HVAC contractors, we do only one thing...Ductless! And that's why we're different! It's great to be recognized for what you do, and we thank Fujitsu General for putting us in the spotlight!